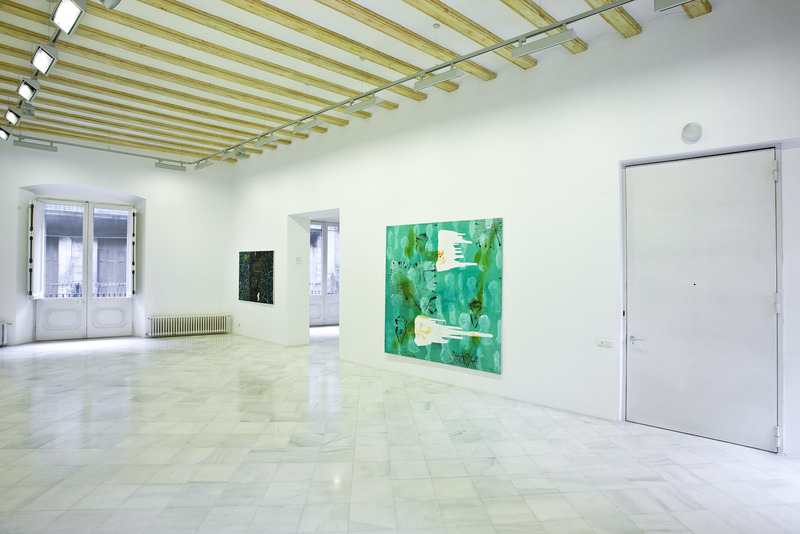 The exhibition that presents is a selection of last works of Patiño. The biggest work Cartografía nocturna (200 x 400 cm) is formed by two pieces, which are related by rhythm. This gestural game defines an area as a symbolic constellation. The different traces dashed some spaces interstitial; where dialect figure-ground establish some visual resonances from empty space. The images in the works of Patiño appear by superposition or random iconography, in study that looks forward to show the traces of creation process. Donald Kuspit calls this proposal as “conceptual expressionism”. Abstraction and figuration seems to be meeting point. 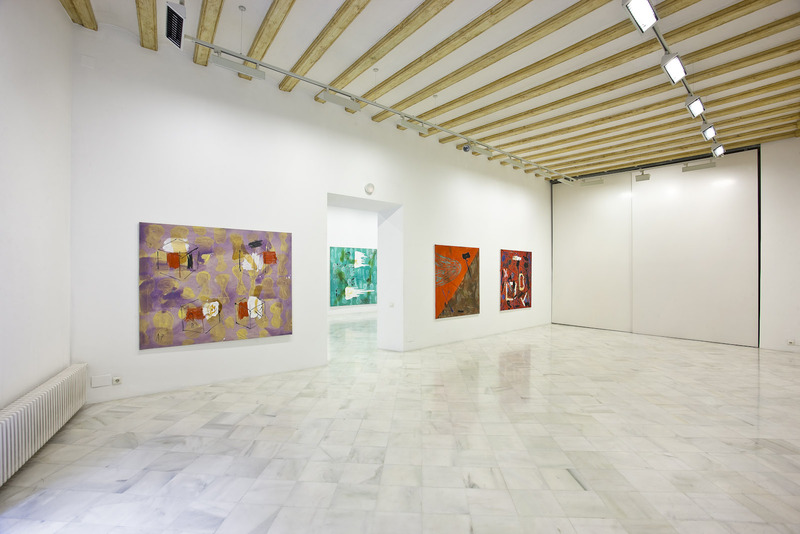 “As a painter interested in maps, Patiño understand that everything is a sign, some that have to be red and decrypt. In this sense, the reality turns on, among others, in some kind of spaces with a lot of hidden signs”, write John Yau in a text of his work. The artist has expressed through aphorisms some process of abstraction that could be appreciated in his works. The writings of “Mapa ingrávido” (“Weightless map”) are formed by different fragmentary reflexions about creation process and its metamorphosis. Sometimes, he talks about liquid memory about de pictures. Map and territory have a unitary expression in his painting. Antonio García Berrio has developed interpretation of “Caosmos. 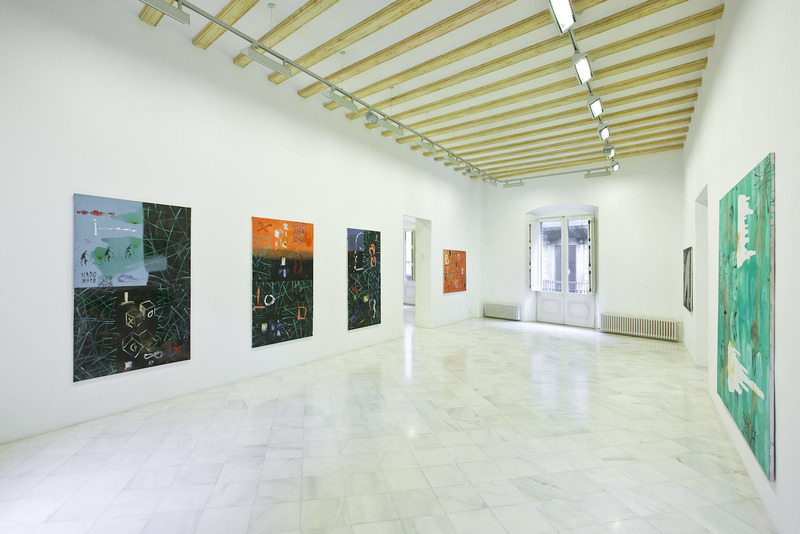 Encrucijada y espacio simbólico”, the book in which Antón Patiño combined paintings with aphorisms, images and writings in open dialogue. The dreamlike ways of his work, the lineal ways that are presented in his works, the presences of signs, and the traces of random process… The painter has talk about the unconsciousness land, dream matter and ritual instant, labyrinths of gestural action, fluid constellations, and the work as surface of germination. On the other hand, Andrés Sanchez Robayna writes in the text titled “Imantaciones”: We assist with this work to some kind of fluid expansions, the navigation by waters and interior seas. Painting is flow. The pictures sprout through the flow of the signs. According to Henri Michaux, what cartography painting is interior landscape: instincts, forces, and movements of interiority. 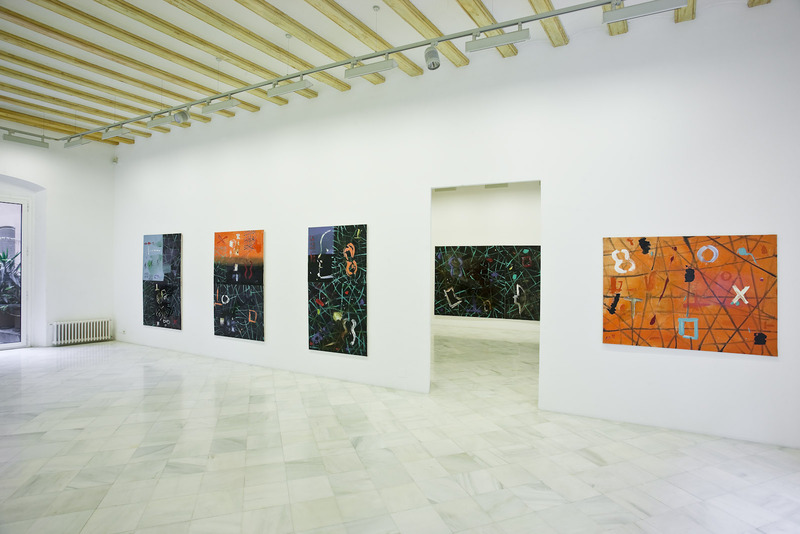 (…) Paintings of Patiño could be titled, neuronal calligraphies. 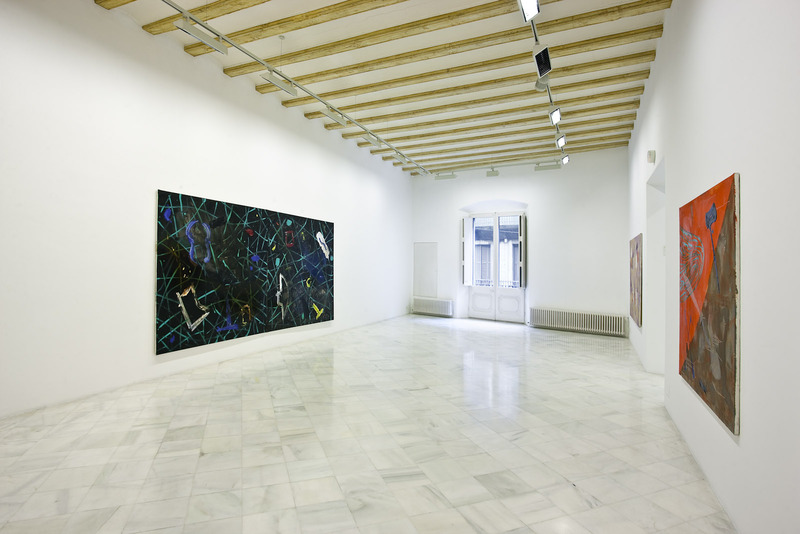 Fernando Castro Flórez points out that the signs of Patiño’s painting are “instinct draws that tend to emblematic”. “The painting is the map of cartographic chaos in matter. 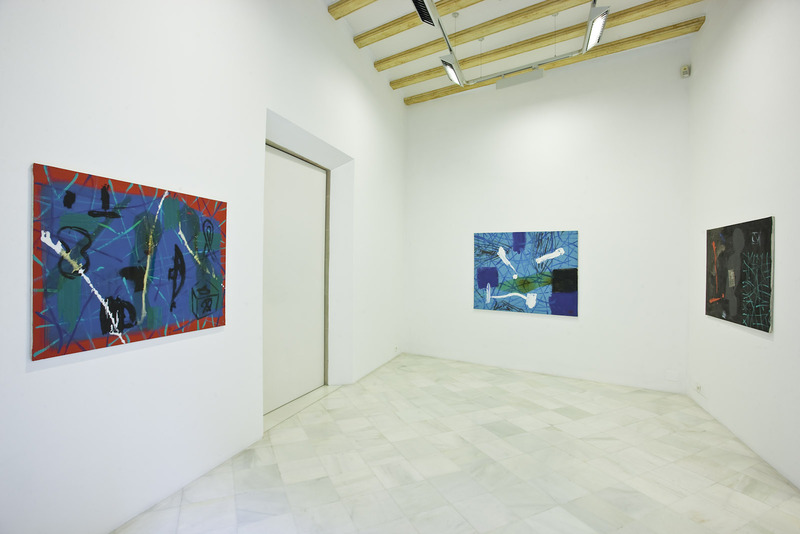 The painting is map and territory, surface and concept”, writes Antón Patiño in one of the aphorisms of “Mapa ingrávido”.